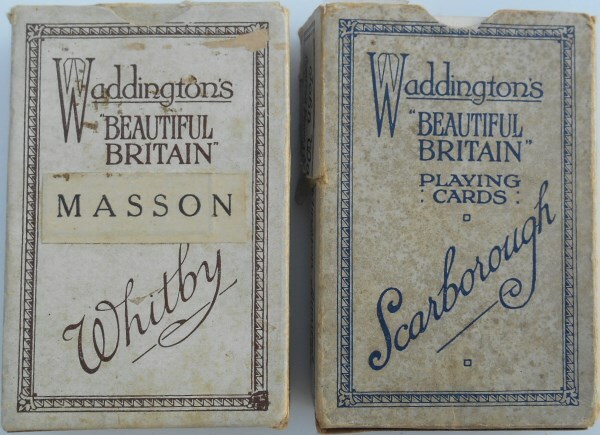 Lot 23B 1930's WADDINGTON'S PLAYING CARDS Two Packs Separately Boxed. One Boxed Pack Showing "WHITBY". One boxed Pack showing "SCARBOROUGH". Both in Excellent Condition.